New Year's Resolutions for Any Home! Whether you’re looking to enjoy the home you’re in or invest in a new one, these New Year’s resolutions for your home are a great way to start the New Year! Start your year off by giving everything in your home a place to live. Designate space and stick to it! If it does not have a home, evaluate if it’s really needed in your house and proceed accordingly! Label when necessary. This is especially helpful for kids once you set a designated area for each item. Shoes? We know where those go! Jackets? They’re in the coat closet. Laundry? You get the idea. While shopping in bulk may often be a time and money saver, if you don’t have the space for the item, save the peace of mind and keep only what you need on hand. Spend 15 minutes each day speed cleaning! Take a break from social media or spend your commercial breaks wiping down the counters. Set daily, weekly, and monthly rules for yourself and others in your home. Daily tasks might include filling the dishwasher right after eating or wiping down the bathroom counter. Weekly rules might include vacuuming the carpets and changing the linens, while monthly cleaning might include checking the pantry for expired items. Sometimes a New Year’s resolution doesn’t have to be an overarching goal. Making a to do list of all the items that have been piled up and making a goal to complete them all over the next year is a great resolution to set! This can span from fixing the squeaky hinges in your home to more safety-oriented things like cleaning out the vents and ducts behind your dryer. If you’re planning a renovation of any kind, be sure to do research into what new safety measures may apply to the job. For instance, adding ventilation to your bathrooms and attic can help prevent mold spores from developing. Doing a check for radon and confirming the carbon monoxide and fire detectors are working are also great things to do at the turn of the year for added safety. If these tasks sound overwhelming, it’s always a great idea to invest in professionals to help you complete your goals. Looking to keep a squeaky-clean house? Invest in cleaning services. Adding, expanding, or repairing your home? Not everything needs to be DIY, so reach out to a professional. Looking to sell your home or buy a new one? We might be able to help with that! Heading for the home stretch of summer can mean a lot of things, but it should never mean the end of the fun! For car aficionados the summer and fall months are golden, filled with car events all over. This coming weekend alone there are Chevelle and El Caminos to see in Westford, the Sons of Italy Car Show in Wilmington, the New Marlborough Classic Car Show, the Whitinsville Cars in The Park, and the Road Devils Boston Massacre in East Bridgewater! When you’re looking to bring your interests home however, finding the right space is key. For the car community, a big advantage is having the garage detached from the house. 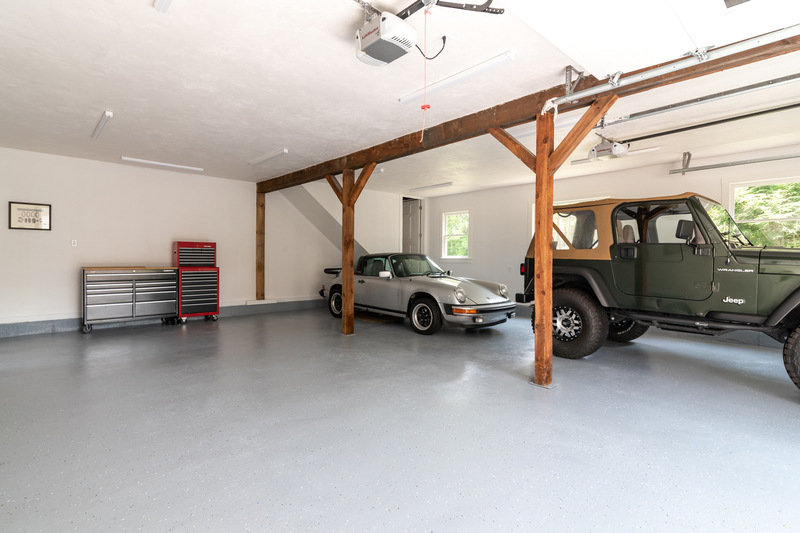 The garage at 15 Charles Street not only allows for car enthusiasts to enjoy their interests, but also provide space that could be used for snowmobiles, boats, or tools for tradesmen. Ample loft space allows for storage of additional tools and items that are necessary for winter or summer hobbies such as skis, snowboards, beach gear, and more. 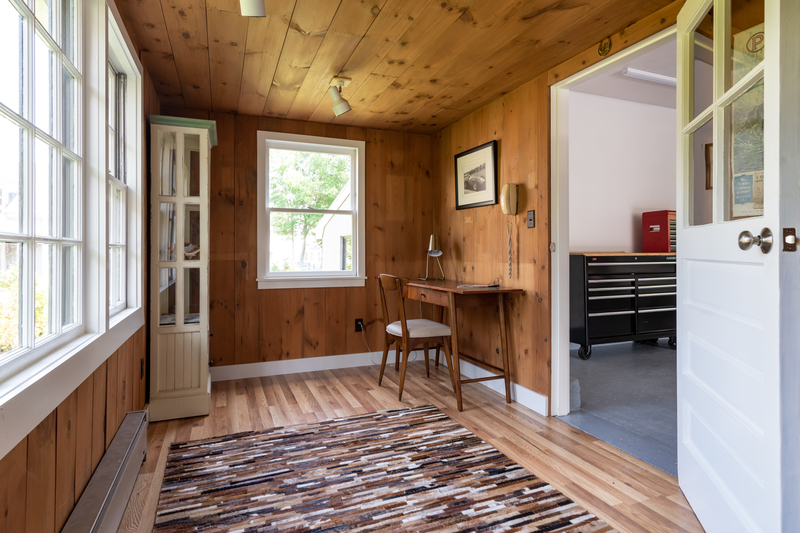 The epoxy floor allows durability for all types of work, and the heated office space just off the garage adds an opportunity for tranquility when the problem just won’t be fixed! To search all of our listings with garage space click here. For more details on this weekend’s events click here. Many people want to buy a home after retirement because specific wants and needs change as you get older. There are lots of things you should consider before buying a retirement home. Here are four of the most crucial factors. Probably the most important thing to consider is your long term lifestyle desires. As you get older, you’ll want easy access to things that are important to you. 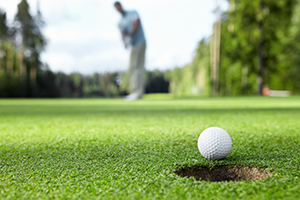 Do you like golfing, hiking, playing tennis, going to the beach, skiing, or boating? You don’t want a long commute to get the things you want to do. You want to spend time doing these things! If you’re considering a move to a different town or state, be sure you’ve spent plenty of time there. Do some research and talk to your realtor about the area and different neighborhoods. If you’ve been living in the same place for a long time, you probably have a large social network of friends, family, and coworkers. Would you miss them too much, or are you ready for a new adventure in a location you’ve always dreamed of? Think about how easy (or how hard) it will be to get around. Larger cities and suburbs offer a wealth of amenities, public transportation, healthcare, and local attractions while rural areas can be more appealing if you have friends and family nearby. Single story homes are ideal for retirees who don’t want to worry about the future aches and pains associated with climbing (or falling down) stairs. If you’re buying a new construction home, popular features like wider doorways, hallways, and walk in showers are great options to consider. If you have a large home, you may want to downsize so your home is easier to manage. Also, keep repairs and maintenance in mind. When you make a financial plan, consider your income limitations from no longer working and include pensions and social security. The price of the home, HOA dues, property taxes, insurance, other monthly expenses, and recreational activities should be included. Weigh the pros and cons of putting a large down payment on your home. You may pay it off faster, but it may not be the best financial move for you. Thinking about buying a retirement home in the Greater Boston area? Contact Barrett Sotheby’s International Realty today and learn how we can help! Like many American’s, your biggest investment may be your home, so you want it to perform well when you put it on the market. Some home renovations can be costly, so you want to make sure the upgrades will make your home more attractive to potential buyers and give you the biggest bang for your buck. Here are some home improvements that pay off when it comes time to sell your home! Improving your home’s energy efficiency may make a bigger difference and give you more bang for your buck than cosmetic upgrades. The number of energy efficient homes is on the rise, and many home buyers favor energy efficient homes because of potential long term savings. Think attic insulation, HVAC, water heaters, windows, and doors. These upgrades are less expensive than solar panels. It’s a great idea to provide potential buyers with copies of your utility bills to show them how much they can save. 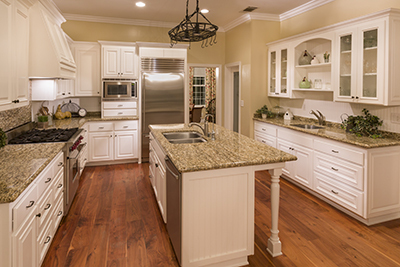 Renovating the kitchen is one of the key things you can do to improve your home’s value. The good news is you don’t need to do an expensive full kitchen renovation to make a big difference. Smaller things like painting your cabinets, getting new cabinet doors, or switching out cabinet hardware can make buyers happy. Upgrade your countertops and install new appliances, if needed. You don’t need to buy the most expensive appliances to make your kitchen fabulous. Updating your bathroom can also make a big impact on buyers. Think about regrouting tile, replacing caulk, updating the toilet, mirrors, and fixtures. These smaller projects can give your bathroom a nice facelift without breaking the bank. One of the least expensive things you can do also gives you one of the best returns on investment. A nice, fresh coat of interior paint can really brighten up your home and make it shine. Color trends change over time, but it’s usually best to stay away from deep, dark colors and pure white. Always consider the impact the color will have on the buyer. Select colors that will make it easier for buyers to picture themselves living in your home. Power wash your home’s exterior to decide if you need to freshen up the exterior paint. Sometimes power washing alone works enough magic. 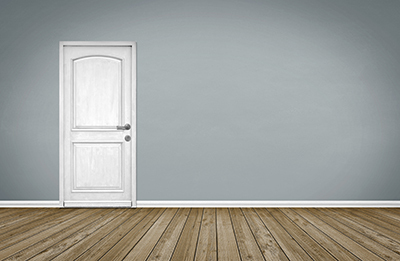 If your front door is older and you aren’t going to replace it, it’s a good idea to paint it! Upgrading your flooring can make a huge difference and it makes your home look well maintained. Hardwood floors payoff and they are in high demand, but they are expensive to install. Replace tile and carpet if needed. At the very least, refinish your hardwood floors, wax tile areas, and get carpets professionally cleaned. If you’re on a budget, focus on the upgrading the flooring in the kitchen and living areas to get the biggest impact. Thinking about selling your home in the Greater Boston area? Contact Barrett Sotheby's International Realty today and learn how we can help! Once again Barrett Sotheby's International Realty will be conducting our increasingly popular seminars for downsizing. Here is an older post with some valuable information, to wet your appetite for the seminar. The sessions are held on four dates in February and you can sign up here. Barrett Sotheby's International Realty's recent downsizing seminars were informative and inspiring -- and I'm not even planning to move any time soon. Laurie Cadigan, President of Barrett Sotheby's International Realty, offered personal anecdotes about her recent move from Concord to Boston and provided real estate expertise on planning, financing, decluttering, and staging. Marie LeBlanc, President of Transitions Liquidation Services Inc., was on hand to offer strategies for deciding what to keep and what to get rid of to help your move go smoothly. Where do you want to move? Downsizing means many different things to different people. People move for financial reasons, to pay for college, to simplify their lifestyle. And downsizing isn't just moving to a condo from a single-family home. Many people choose to stay in their community but elect to live in a smaller house. Once you decide on an area or neighborhood, get a feel for the housing stock and what you can get for your money. Barrett & Company offers a daily personalized email service where you can see all the new Massachusetts real estate listings that meet your specific criteria of house size, location, price, number of bedrooms, etc. Who are you bringing? Downsizing is not only for empty nesters. Cadigan and her husband are sharing their new condo with an adult child who is saving money for her own place. They also brought their Golden Retriever along. Cadigan advised, "Look into condo rules and restrictions about pets or even visitors. Some retirement communities limit the amount of time that visitors under age 55 can stay." What are your finances? It is critical to understand your finances and talk them over with a financial advisor. This is particularly true for people who may not have bought or sold a property in many years. The mortgage process has changed. For example, people remember bridge loans, which are no longer offered by banks. 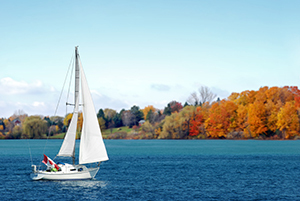 Some retirement communities also have requirements about the makeup of your financial portfolio. Finding a place and financing a place are the big decisions. Then downsizers are faced with a million small decisions in order to actually make a move. Cadigan and her family faced a household made up of 30 years of accumulated stuff where every item's fate had to be decided upon. And that went for the kids' stuff too. "I applied tough love for my children," Cadigan said. Each child got to fill two plastic bins worth of possessions that she would store for them at her new condo. If they wanted to keep anything else, including furniture for future apartments or homes, they had to take it with them or pay to store it themselves. Then she got to work staging her home for sale. 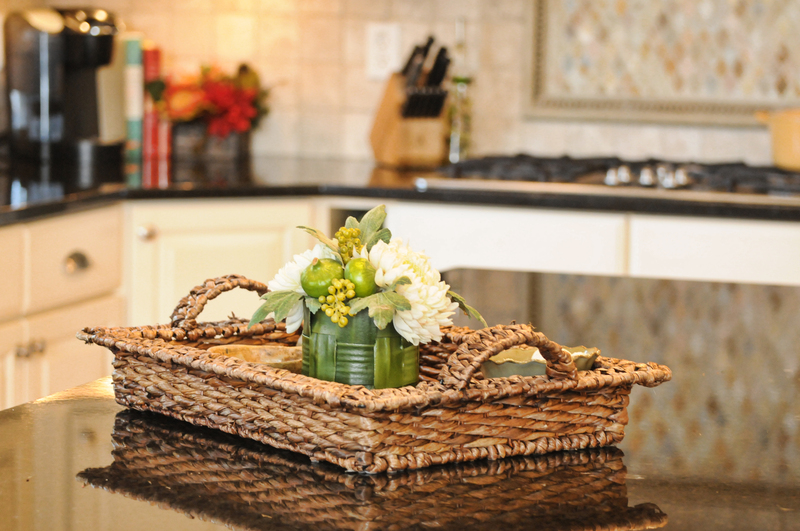 "Staging is about making things look airy, clean, and neutral. A potential buyer wants to come in and imagine his or her possessions in the house, not be fixated on your decorating style," says Cadigan. Seminar attendees got to see some great before and after photos of Cadigan's home. Her before slides showed flowered wallpaper and custom draperies in the dining room. Personally, I thought it was charming but I saw her point that I wouldn't know if the person sitting next to me in the audience thought the same thing. The after picture showed the dining room sans china cabinet, with walls painted a neutral off-white, and the windows bare but clean, with sunlight streaming in. "Believe me it broke my heart to strip down my home," said Cadigan. "No one lives like this. But that is not the point of staging. It's about stepping aside and letting the buyer imagine living there." LeBlanc said the first thing that people who are downsizing should do is draw a floor plan of their new space. Then draw in the furniture that you think you want to bring. "People either think none of their furniture will fit or they think everything will fit,the floor plan doesn't lie," said LeBlanc. Having a real sense of what you will bring will also help when you get an estimate from the moving company. Then it is time to sell, donate, or dispose of what you don't want to bring. LeBlanc offered great advice about disposing of trash. If you disciplined yourself to throw out two bags of trash each week for a year, you would have gotten rid of the equivalent of a 30-yard dumpster. She warned that dumpsters cost $1,800 to rent, fill and dispose of the contents. Most houses require two! She also brought realistic expectations to people's ideas of selling their furniture. The bad news is that most furniture brings 10% of its original purchase price. For those who want to sell, she recommends consignment shops, which take 40-50% of the sale. She does not recommend Craigslist for older people because of the security risk of inviting the general public to where you live. Household Goods Recycling of Massachusetts (HGRM) in Acton was recommended as a great place to donate furniture, including mattresses and box springs in good condition. Charities that offer pickup services also are good but may not take everything. "The lesson is to plan ahead on your donations," LeBlanc said, "you don't want to have a driveway full of stuff that the charity refused to take the day before your closing." Auction houses have become more accepting in the last few years as to what they will take into an auction. Don't put too high of a reserve on a piece. If it doesn't sell because the bidding did not make the reserve, you will be charged 10% of the reserve price and get the piece back -- and that is not the goal. Antiques dealers want to get things for as little as they can so they can make a profit. On the other hand, by buying your piece outright, they are taking on all the costs associated with moving it, and storing it and the risk that it may never sell. If you want to sell to a dealer, invite three to bid and compare their offers. Declutter now or you will pay the piper later. Furniture is not the investment that I thought it was. So I guess I won't feel so bad that my cat scratched my couch. When it does come time to move, there are experts to help you. From experienced real-estate agents, to professional organizers, to financial advisors, no one has to handle this all alone. Cadigan summed it up: "Downsizing is a massive undertaking that can feel uphill at times. But the result for many people is worth it. We love our new lifestyle. I love having only the things that really matter around me. I love having a closet with only the clothes that I really wear. Downsizing has made us feel freer and younger." Sotheby's auction house in New York recently presented an inaugural Designer Showhouse exhibition. The event, which is sponsored by Sotheby's International Realty, Inc., is an innovative approach to highlighting the treasure trove of fine art, furniture and decorative arts offered each season at Sotheby's. A select group of talented interior designers were given exclusive access to the auction house's inventory and shopped the "stacks" to select a group of objects from which six distinctive interior spaces were devised. These objects include paintings, sculptures, prints, furniture and decorative arts which range in date from the 1st century A.D. through the end of the 20th century and encompass a range of artistic and architectural styles from around the world. Here is a peek at their masterful spaces the designers created. RUSH JENKINS and KLAUS BAER from WRJ Design Associates, who are renowned for curating and designing exhibits for such luminaries as Mrs. Nancy Reagan and Bill Blass. These designers were given the freedom to create any type of space and impose any type of aesthetic that he or she desired. The hope is that these spaces will demonstrate how good pieces of fine and decorative art can transcend time and space and that the dialogue between these pieces within a contemporary context not only allows the viewer an opportunity to reflect upon the pieces' historical and artistic importance, but also gives the pieces new meaning and significance in the world of today. The meteorologists describe a "heat wave" as "a prolonged period of excessively hot weather, which may be accompanied by high humidity". Here in New England we are in the midst of our third heat wave of the summer. And whether you love the heat or hate it, nothing sounds better than a cool, refreshing dip in a soothing aquamarine-colored swimming pool. Since we can't actually give you a pool to dive into to cool off, how about taking a look at some of the stunning images we have collected on one of our favorite Pinterest boards "Making a Splash" for a little imaginative plunge. "'A picture is worth a thousand words.' refers to the notion that a complex idea can be conveyed with just a single still image. It also aptly characterizes one of the main goals of visualization, namely making it possible to absorb large amounts of data quickly," according to Wikipedia. The phrase, in various forms, first appeared in print beginning around 1911. Over 100 years later, Pinterest has become one of the most popular social media sites and it revolves around pictures, pinned every minute by the thousands. Pinterest.com's About Us page says it is "a tool for collecting and organizing things you love." The format of "pinning" pictures to a "board" allows you to gather images online that speak to you, however you'd like to categorize them and then share those pictures and boards with your friends, both real life and online ones. Barrett Sotheby's International Realty has a collection of Pinterest boards with a variety of titles such as "Architecture", "Kitchen Inspirations", "A Room with a View" and many more. From time to time, we will share those boards here with you and invite you to follow along with us on Pinterest to see what's been catching our eye and perhaps find some inspiration for your own home and garden. As we head into summer here in New England, there is no better place to start than with Porches, Patios and Decks. Whether screened in or wraparound, flagstone or cedar, we hope you find these outdoor spaces to be inviting, lovely to look at and worthy of a second glance. I recently sat in on the seminar that Barrett & Company held for its agents on septic systems and Massachusetts Title 5 requirements. Knowledge is power, and as the septic professional said, "When you are selling your house, you are also selling its septic system." The session was informative and technical but it got me thinking of all the fond memories my family has about septic systems. Yes, I am experiencing "septic nostalgia". You Never Know When Luck will Strike My husband likes to share a thrilling story from his childhood in New Hampshire. When he was eight years old, he entered a raffle at the local hardware store and he won! Imagine the thrill of winning a store raffle as a child. To this day, he says it is the only thing that he has ever won. The problem was that he won a free bottle of bacteria. It was an additive intended to enhance the health of a home septic system. What a bitter disappointment to a small boy. Who wants to brag about winning a bottle of bacteria? The added insult was that his family's house was on town sewer. Helpful Hint: The presenter on septic systems said that most additives are unnecessary and can even be harmful to systems. In most cases, they should be avoided. A Surprising Environmental Impact I had never lived in a house with a septic system until we moved out of the city. The first time I was home for a septic clean out/inspection, I was a little nervous. Would it be gross? Would we fail? The man arrived and pulled off the cover that led to the septic tank. I peered nervously in and saw...a second cover about three feet below the first one. That creates a sort of buffer chamber called a riser. But before he could remove the second metal cover, we saw the yellow-spotted salamander. It was just sitting in the riser. "Oh, those are endangered," the man said. He shook his head. "We can't harm those." We both marveled at why the salamander had set up housekeeping in the riser. But the man needed to get the second manhole cover off to actually peer into the septic tank. So I grabbed a bucket, and we carefully put Mr. Salamander in it. "Spotty" seemed calm. The man removed the second cover and I finally got a full view of my household waste now layered as scum, waste water, and sludge. Actually it wasn't that bad. The man pointed out some frothy stuff floating around. "See those," he said. "Those are floating islands of bacteria. That is a sign of a very healthy system. You have terrific bacteria." But what about the salamander? When the cleanout was complete, we put him back in the riser chamber. I hoped we did the right thing environmentally. Four years later, when we sold our house and moved, we did our Title 5 inspection. A different company came out (just because we'd forgotten the name of the first company). The man again removed the cover to the riser, and there was the spotted salamander, alive and well -- four years later. The lesson I learned between the bacteria islands and the salamander habitat is that a well-functioning septic system is definitely a world unto itself.